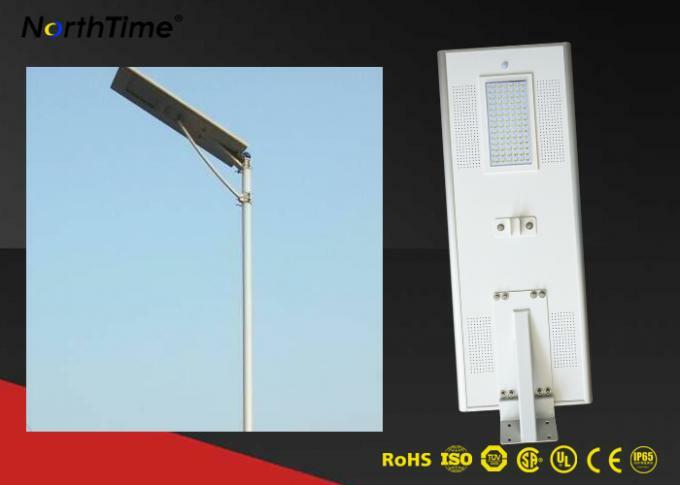 Application : Street, residential, industrial zone roads, square and park, school, campus, farm, mine area, etc. This entirely self-sufficient off-grid solution for private, commercial and municipal use will illuminate entire communities without the need for excavation works, cable laying and public grid connection, at a much lower cost of ownership. 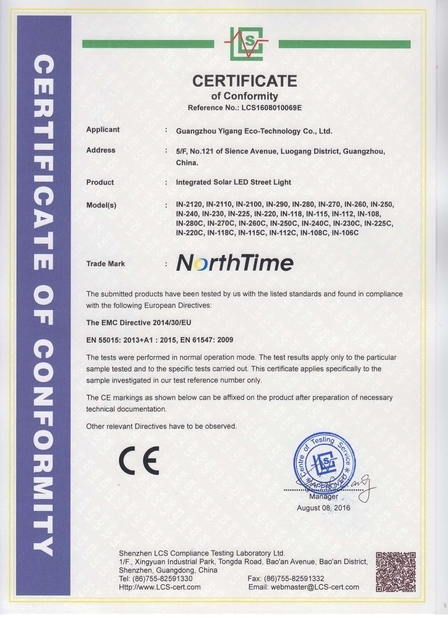 Strictly top quality EU-made components distinguish the NORTHTIME all in one solar street light as an extremely reliable source of light with prolonged service life. 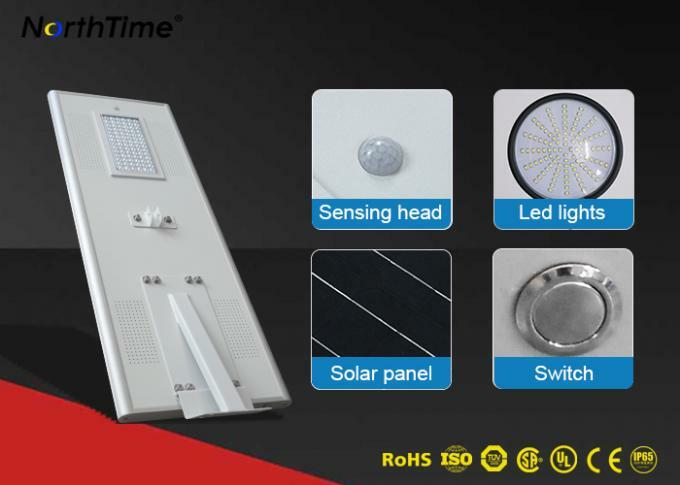 Featuring automatic dimming, self regulated switch on/off function and motion detection it promotes more responsible energy consumption and causes minimal light pollution. Solar street lighting can help minimize safety risks caused by vehicle and pedestrian traffic and promote safer, more walkable communities. We use Germany Solarword efficiency mono crystalline silicon solar panel, its photoelectric conversion efficiency can reach 20%. Another kind of solar panel is United States brand Sunpower efficiency mono crystalline silicon, its efficiency can reach 22%. Lifespan is 25 years for solar panel. The controller is also developed by our engineering team. The stability and functionality of our controller is the leading level in the industry. We also have applied the patent successfully already. The conversion efficiency of our controller can reach 95%, while the average efficiency only have 60% -70% for the whole market. Lifespan of our controller is 10 years. 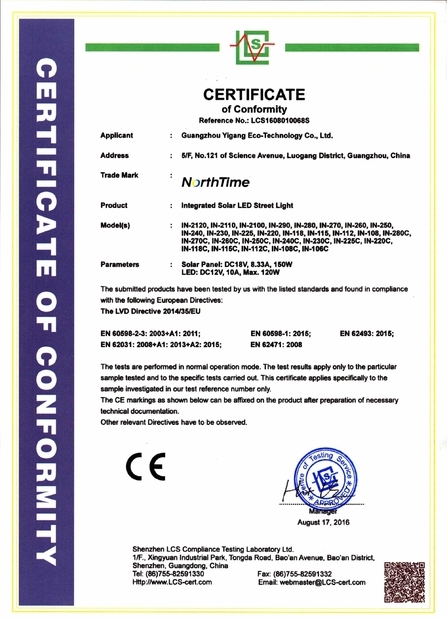 We use the United States brand Bridgelux 45ML, the lumen of each led chip is 150LM. Its lifespan more than 10 years. Light control, body sensor control, time control, mobile phone APP control. 1) Light control: when it is dark, the lights will automatically turn on; When it is dawn, the lights will automatically turn off. 2) Motion sensor: the human intelligence induction system ( PIR Motion Sensor) will be activated with 100% brightness when people or car passes, and the power will be 50% when people or car leave. 3) Time control: lighting time and light off time can be controlled. 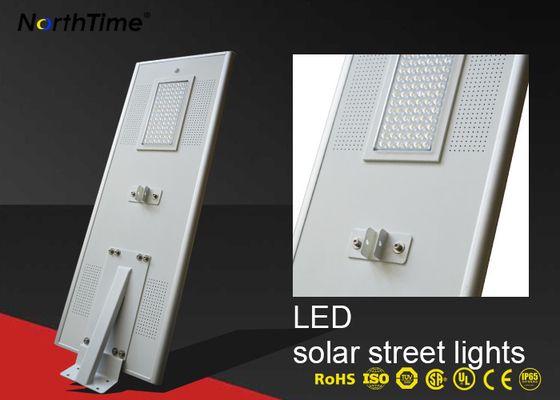 The lighting time and brightness can be customized according to your requirements. 4) Mobile phone APP control : Install APP software in your mobile phone, then you can connect to the lights through bluetooth module and control the lights by your mobile phone APP. Courtyard, Garden, Park, Street, Roadway, Pathway, Parking lot, Private road, Sidewalk, Public square, Plaza, Campus, Airfield, Farm & Ranch, Perimeter Security, Wildlife Area, Remote Area, Military Base, Coastal Areas and Billboard Lighting, Temporary and Event Lighting, Strata and Public Area Lighting, Construction sites. Rural Area Lighting, Mining and Industrial sites.